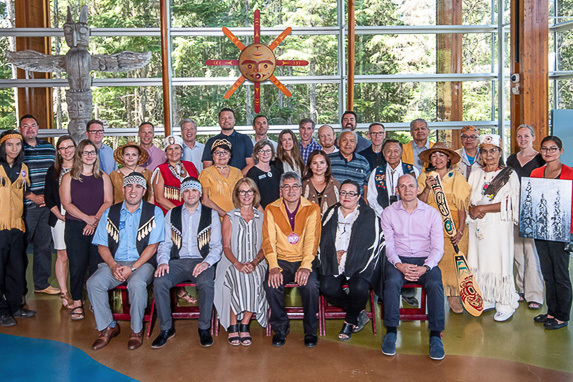 This week, government officials from the Squamish Nation, Lil’wat Nation and Resort Municipality of Whistler (RMOW) signed a Protocol Agreement, formally marking a renewed working relationship between the parties. The Protocol provides a framework for the establishment of stronger government-to-government relations. It aims to raise awareness and understanding of the Lil’wat Nation, the Squamish Nation and the RMOW, and establish a cooperative relationship in the spirit of reconciliation. During this event, a painting of Squamish artist Andy Anissimoff was handed over as a gift to Lil’wat Nation.